Business Manager/FST Joseph B. Cook was elected as the Business Manager and Financial Secretary for Sheet Metal Workers Local #219 on July 1st, 2016. Prior to Joseph becoming BM/FST he served as President/Marketing Rep; Executive Board Trustee, Union Steward, OSHA instructor and Certified Welding Inspector. Joseph was accepted into SMW Local #219’s 5-year apprenticeship program in 1998. In addition to his union training, Joseph served in the Army National Guard for six years starting in 1994. He served as a Staff Sergeant and was honorably discharged in 2000. He also worked in the nonunion sector doing HVAC for the year before being accepted into our apprenticeship program. 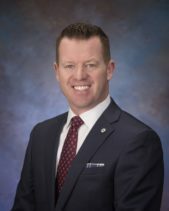 Currently Joseph serves on the Executive Board for the Illinois State Council, Board of directors for ECHO, and trustee/chairman for the Employee Benefit Fund, Local Pension, JATC, LMC, and Northwest Illinois Building Trades. Joseph has been married to Donna for over 18 years with two children Brennen 14 yrs. old and Brenleigh 11 yrs. old. When not working Joseph can be found with his family at their many sporting events. Todd Whitlock was elected President and appointed Marketing Representative for Sheet Metal Workers Local #219 on July 1st, 2016. Prior to becoming President/Marketing Representative he served as Executive Board Member and Local Pension Trustee. Todd was accepted into Sheet Metal Workers Local #219’s five-year apprenticeship program in 1996. 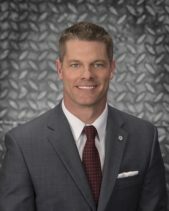 Currently Todd serves as trustee of the Employee Benefit Fund, LMC, and Northwest Illinois Building Trades. Todd has two children Macie 8 years old and Dylan 5 years old.